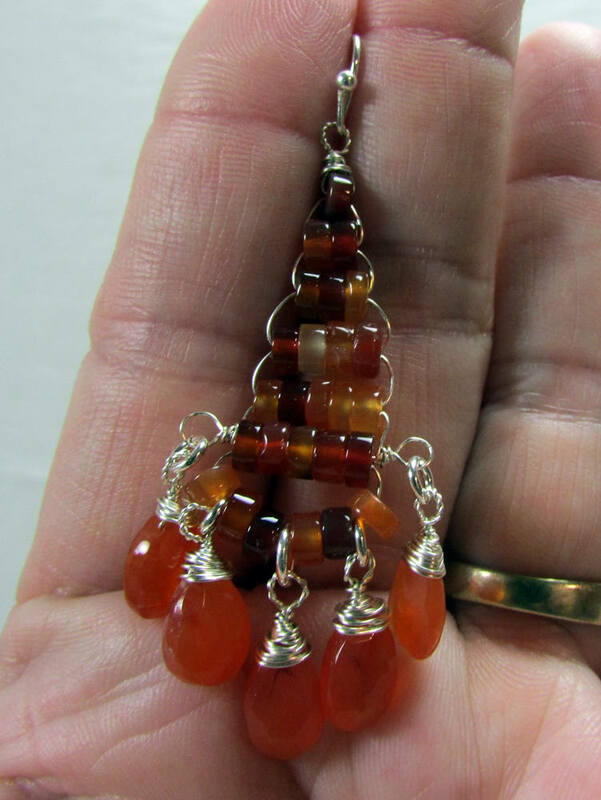 Stunning Carnelian Gypsy style earrings created with teardrop carnelian gemstone approximately 6x4mm in size. 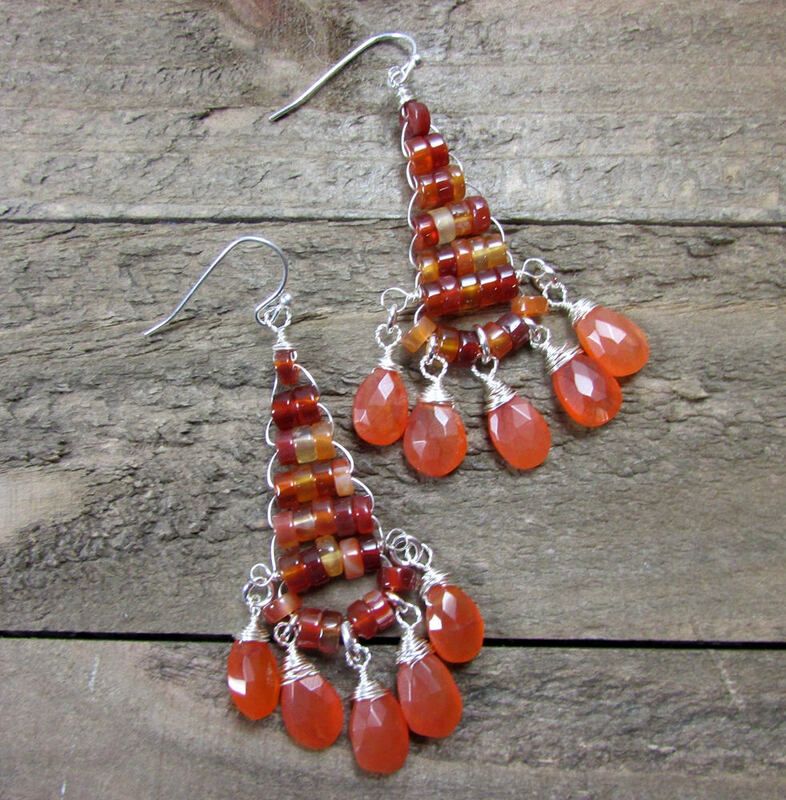 The beautiful warm color of caramel is perfect for the fall season. 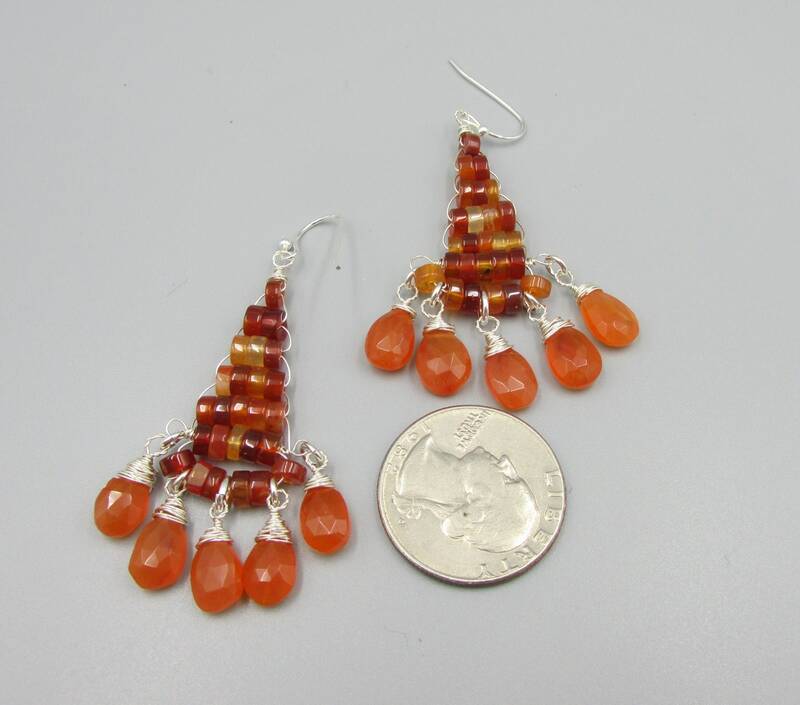 Earrings are about 3 inches in length and finished with sterling silver ear wires. 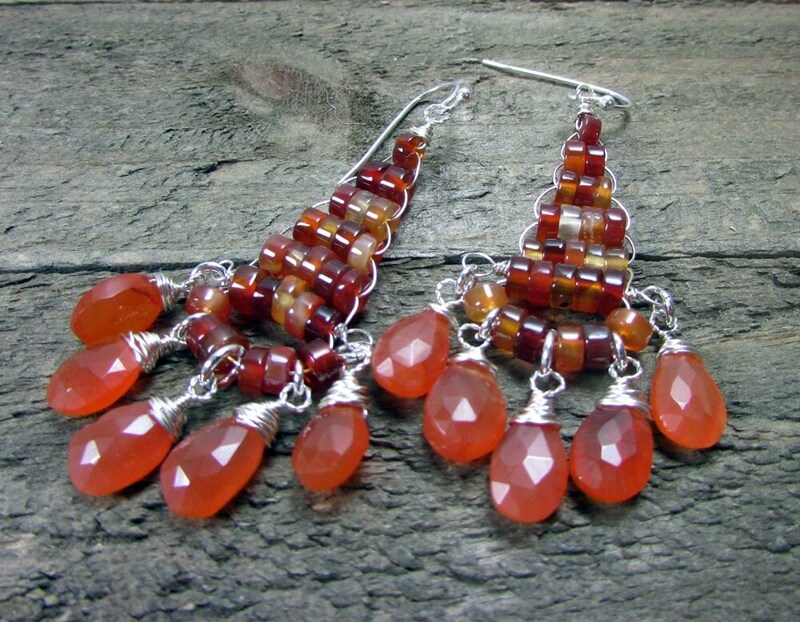 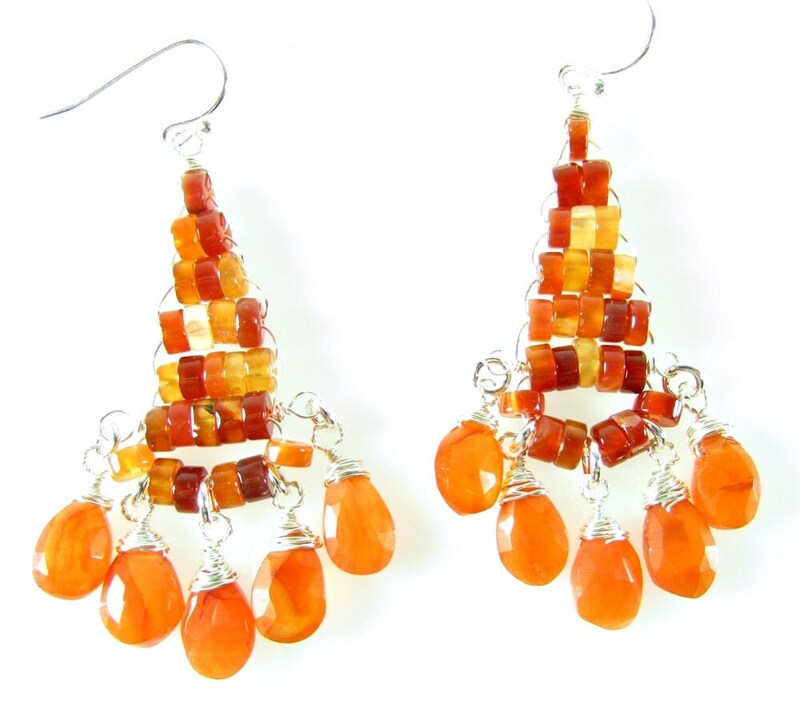 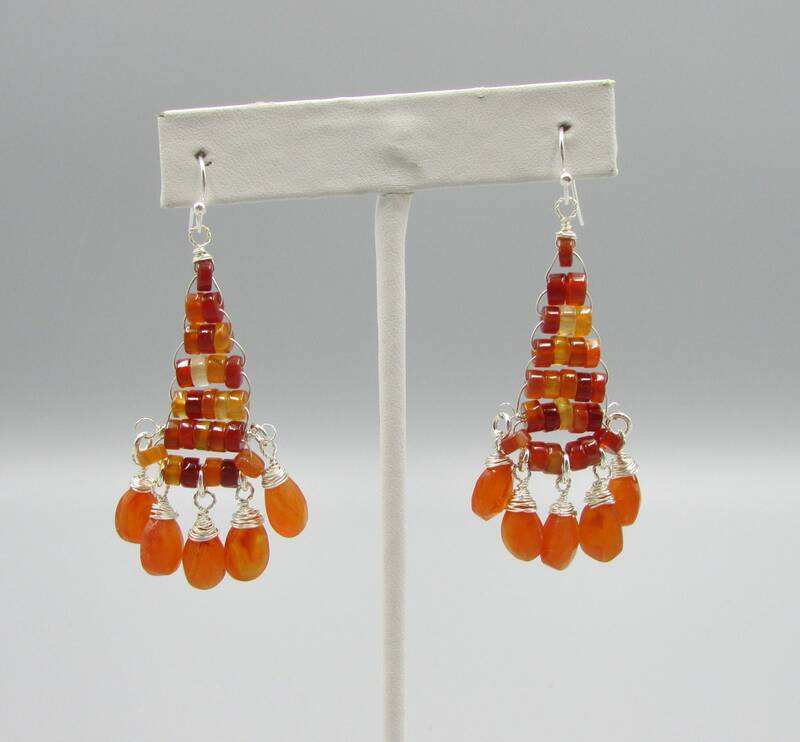 Carnelian is the red, orange, or amber variety of Chalcedony. 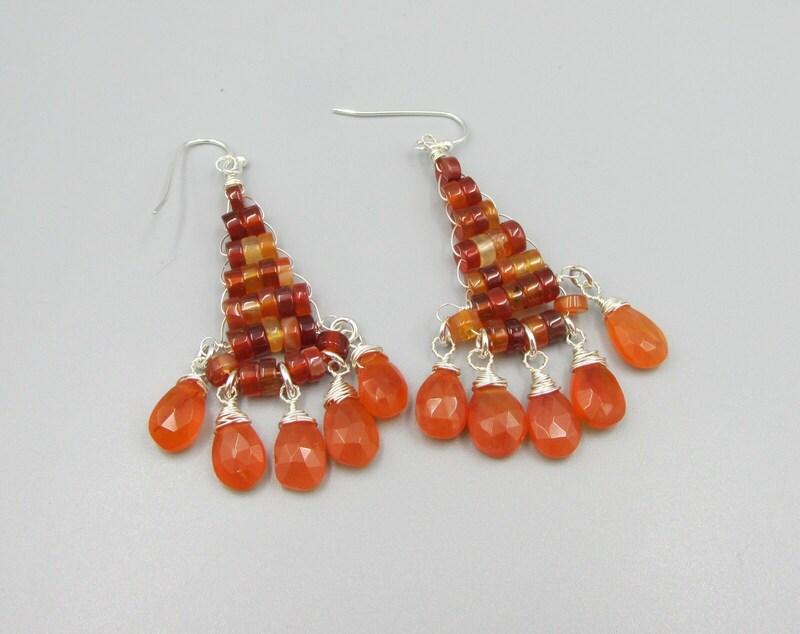 Though often a solid color, it may also be banded, in which case it would be jointly classified as both Agate and Carnelian. 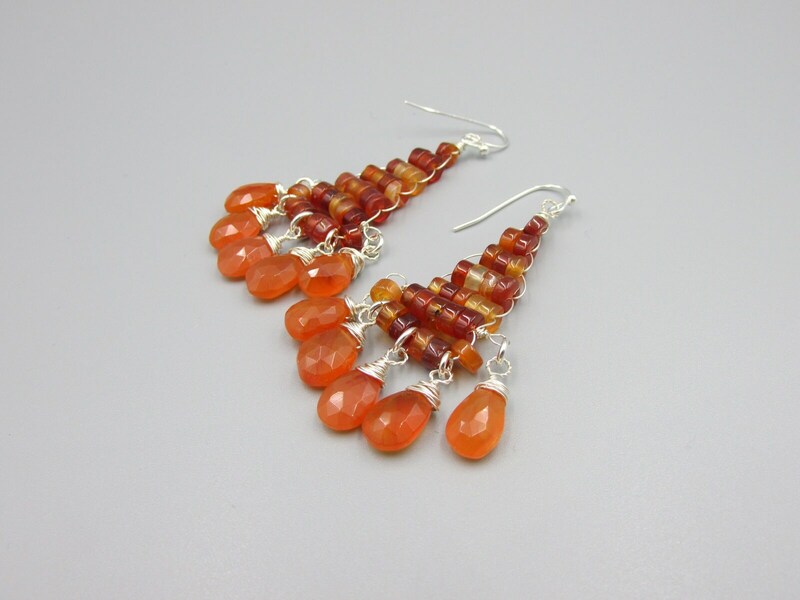 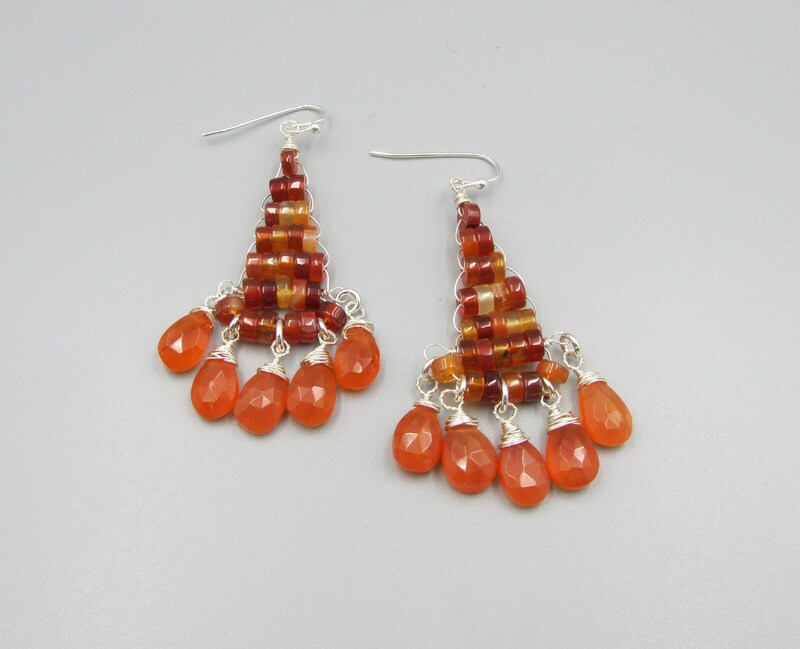 Carnelian is an ancient gemstone, having been used as gem material since antiquity.